Register Now! Welcome to the 2018 #SD911MSC Registration page. Thank you for joining the climb and participating in this year’s memorial event. This year the climb will sell out at 1,300 participants, and we aim to raise $175,000 for our event beneficiaries FirefighterAid, PsychArmor, Firefighter Cancer Support Network, and the National Fallen Firefighter Foundation. While your registration fee gets you to the start line, it’s your fundraising efforts that get us across the finish line. With every registration, there is a suggested fundraising goal of $110. With your dedication and support we know we’ll reach our goal! Please read all the directions carefully before you click on the link to register. We’re using the Classy platform, so if you are a returning climber this will be the same as last year, if you are new to the event, trust us, it’s a very easy platform to use. If you have any problems or questions during the registration process please feel free to email San Diego Running Co. at [email protected], they will be happy to assist you. Priority start times are given to top fundraisers, not climbers who sign up during early bird registration, or on a first come first served basis! If you want to ensure you absolutely get your desired start time, you’ve got to work for it. $110 is a great place to start! When you’re ready to go! Click here to start the registration process. Once you’ve finished your registration, keep an eye on our social media page and this site to be part of the climb fundraising family! Help us raise funds for awesome charities that care for our heroes. Public Safety ID must be presented at event check-in on the morning of 9/8/2018. With all the above registrations, there is a suggested fundraising goal of $110. The #SD911MSC sells out at 1,300 participants. Each climber selects one of the 403 first responders (343 FDNY, 47 PAPD, 23 NYPD) that died on 9/11/01 to climb in honor of. For all 403 heroes we use their professional New York safety agency head shot to display on the climber badges. If you wish to use a different photo for your hero, we suggest you print it out on your own and bring it with you the day of the climb. You can easily slide your picture into the lanyard and display it. We do not grant requests to change hero's head shots. We appreciate your understanding. Sgt. Timothy A. Roy, Sr.
Insp. Anthony P. Infante, Jr. Honor Teams are awarded a very special privilege at the event as a result of remarkable fundraising or sponsorship. They are awarded a unique climb start time that coincides with a­­­­ powerful 9/11/01 event. The teams that receive this honor are decided based upon the total amount a team has raised, regardless of team size, by September 5th, 2018. 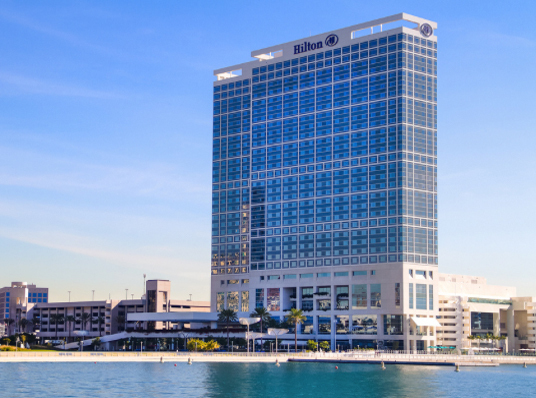 Thank you to our Host Sponsor and kind friends at the Hilton Bayfront Hotel San Diego for offering us a special climber rate on a block of rooms! If you plan on staying at the Hilton please book your room ASAP as the Hotel will sell out for this weekend. You can now book reservations just click here and use password: 'CLIMB'. 30 rooms on 9/7 and 9/8 are available for $259 per room per night. Additionally, climbers can call the Hilton Central Reservations number at 1-800-HILTONS and reference the group code 'CLIMB' to book their reservations.